In this Blog, we will learn how to get the current Row of GridView inside the SelectedIndexChanged Event of a DropDownList present on the GridView itself and then find the other DropDownList and bind that. The requirement came up in one of my projects to Bind one DropDownList present on a Column based on the selection of DropDownList present on another Column. So, it was like the Cascading DropDownLists, where both the DropDownLists are present on the same GridView. The step which is bold is very important. Let’s go step by step. In the Markup, you can see that I have two DropDownLists Declared inside the GridView. One is for Country and another one for City. Just for demo purpose, I have hard coded the Items for Country. You can dynamically populate that using code. Note: According to Step – 1, I have attached the OnSelectedIndexChanged Event to the CountryDropDownList. Goal: Our goal is to populate the CityDropDownList for the particular row, when Country is selected in that row. Let’s write code inside the Country Change Event and populate the CityDropDownList. For the above, we have to get the current CountryDropDownList first, which we can easily get by. Now the important Step – 3. In order to get the Containing Row for the DropDownList, we have to use the Control.NamingContainer Property. The naming container for a given control is the parent control above it in the hierarchy that implements the INamingContainer interface. A server control that implements this interface creates a unique namespace for the ID property values of its child server controls. You can use the NamingContainer property of a naming container’s child control to get a reference to its parent container. So, after getting the current GridView Row, now it is just a matter of finding the CityDropDownList on that particular row and bind that with appropriate Data. Below is the full code. I have used one Service to get the Cities Data. 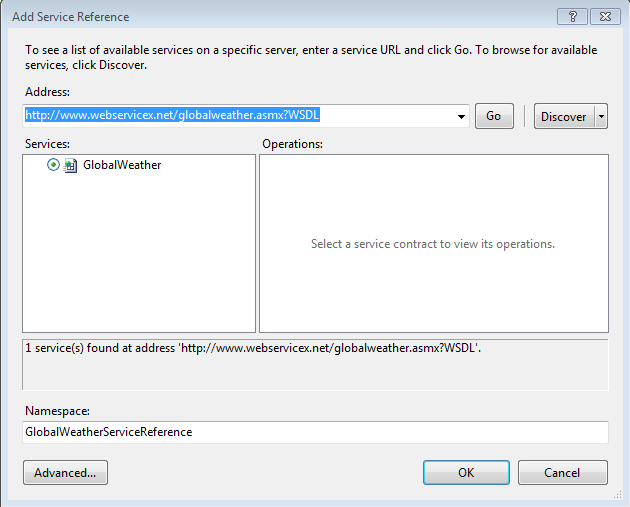 To use the Service, add Service Reference to your Project by right clicking on the Project in Visual Studio. // Get the Cities from the Service. // Let's parse the XML into DataTable. // Bind the City DropDownList. If you have any queries, please comment below. I will come back to you. Feel free to Like and Share the Blog in Social Sites. Published at DZone with permission of Tadit Dash , DZone MVB. See the original article here.